Yet another new retailer for us. 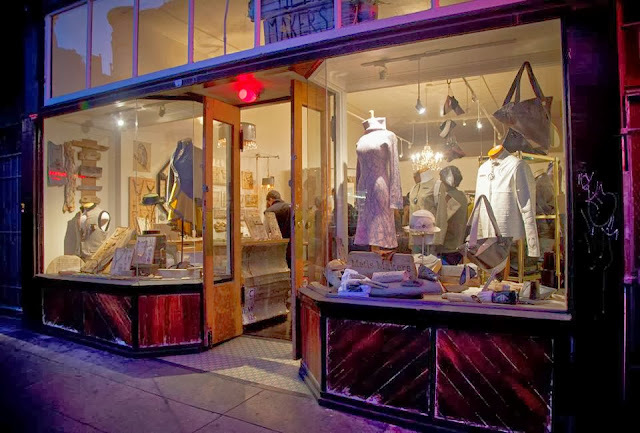 Metis Makers, a new collective on Grant Street in North Beach, carries a range of hand-made products made by local designers and artists, including hats, leather goods, hand-made clothing, and jewelry. The shop is gorgeous! Be sure to check it out soon. Their website doesn't have much on it yet, so see their facebook page for photos of the store, events, etc. 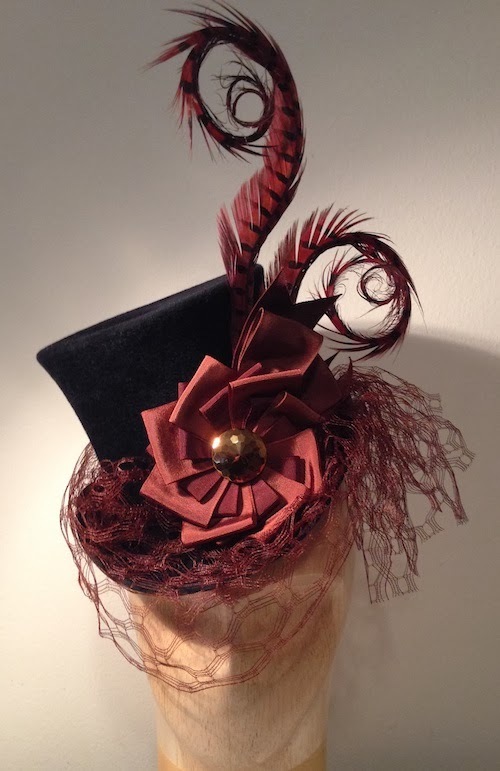 Yesterday, I took over a dozen new hats to the shop. Here are quick snapshots I took of some of them before they were delivered. Just finished moments before being packed up for delivery, our very newest style, 'Cheri'. It will probably change a bit before its official release in 2014, so most likely this is a one-of-a-kind piece. Black velvety velour-finish felt with chestnut brown trim and a huge gilded glass button. 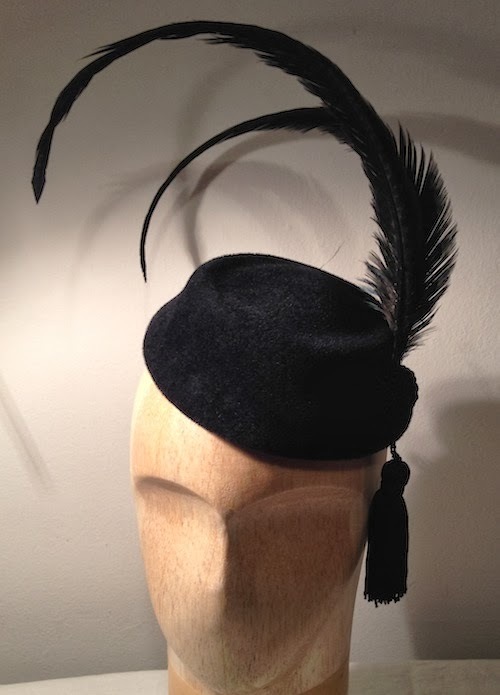 Here's 'Mattie' in navy blue fur felt with black trim and a spray of exotic feathers. 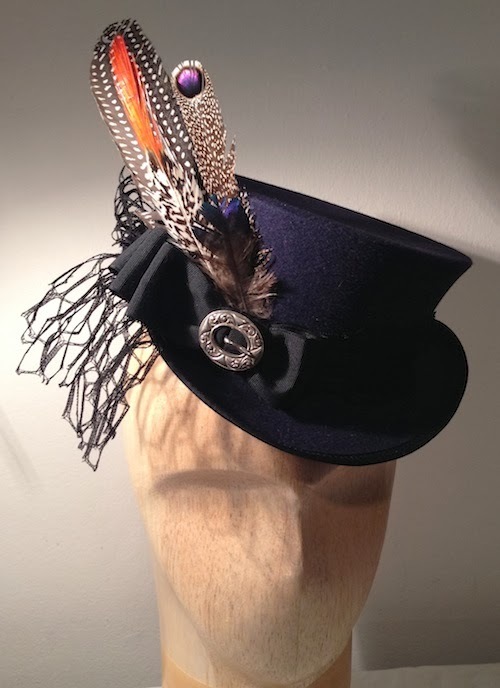 I only had one of the antique buckle, so this hat is one-of-a-kind. And 'Mrs. 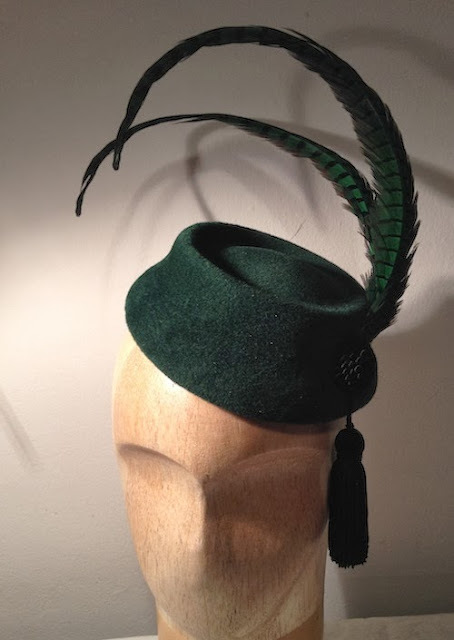 Belzoni', our newest cocktail hat style, in black and in hunter green with matching feathers and black trim. Head over there soon- they have lots of things that would make great holiday gifts, and Edwardian Ball-ready hats galore.